Meeting Open: At 6pm club president, Tim Moran, opened the meeting. He called everyone’s attention to the side table where members had been signing in and confirming email addresses. Tim then asked that everyone around the room introduce themselves. Volunteer list. Tim read aloud those names of members who had signed up to assist with workshop. Mentioned that the first registration for the workshop had arrived in the mail and that he had received several emails and phones concerning the event. Tim made the recommendation that members register as soon as they can and that information concerning the event still needs to be advertised as much as possible. Flyers are available and have been pushed out; however, club members should grab some of the hard copies and get them distributed as much as possible. Tim made mention that if anyone still wanted to assist with the workshop that they can still sign on to do that – just get with him. Tim then went over the speakers/instructor list for workshop highlighting the Bee Master Open Discussion/Panel. Discussions about the workshop ended with Tim asking the group if they thought a social after the workshop (club members only) would be a good idea. The social would be held at the Coyote Den on Camp Rapid and he would look into getting that set up if the group thought it would be a good idea. No vote; however, consensus of the group was that it was something to pursue. Treasurers Report: Item not on the agenda but addressed by Tim – at this meeting there would be no Treasurers Report but that in the future the treasurer report would only be presented once a quarter. Leadership of the group is not attempting to conceal the report, it is that time is limited and if anyone wants to see the numbers, they can, at any time to make a request and the books would be opened. New Club Officers: Tim addressed that at the last meeting, along with his selection as president of the group, that Dan is now the Vice President, Kia remains at her post as Club Treasurer and that Allen offered to be the Club Secretary. Along with the new club officers, Michelle would continue to assist with Facebook postings and Linda Anderson would still be updating the club website. Tim thanked everyone for serving. Non-agenda Floor discussion item: Tim brought up that as a group we need to ensure that experienced members of the group approach newer members, or vice versa, and that mentoring needs to be a big push within the club. He went over a few examples how that can, and does, work. Review of 2019 Calendar of Events. Tim asked the group to reference the club handout for the meeting. 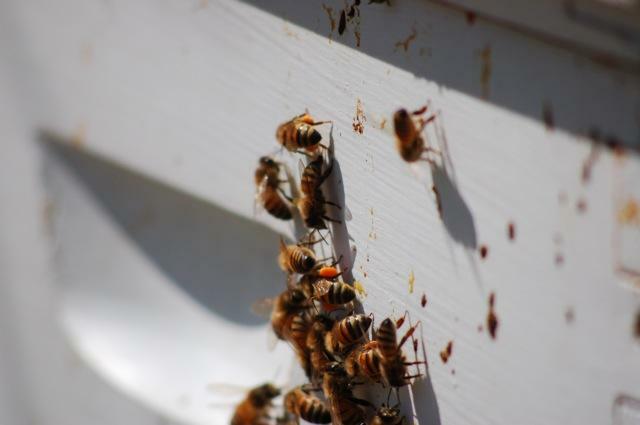 He stated that the intent over the next year was to keep at least one season cycle ahead of where the bees should be during the year. This would allow us, as a club, to discuss what we should be doing in the coming months to keep our bees healthy. Tim then covered each month’s topics and addressed if it involved a field trip an apiary of one of the group’s members. Floor discussion item: Question from the floor was if meetings would continue to be on Wednesday nights? Tim answered, yes. Meetings same day, time, and place unless otherwise put out a visit to an apiary. Floor discussion item: From the floor it was brought up that the club needed to ensure that on the monthly agenda a Master Gardner presenter is scheduled. There was much interest conveyed by the group that this be done. Tim pointed out that it is addressed in the month of March but can be better defined. One comment suggested that the workshop should have a Master Gardener speaker as well. Review/Discuss Scholarship Program: Tim brought up that last year the group did not get one application for the scholarship program and that he would really like to see the group hand out some money or equipment to a new beekeeper. Past club president, Jerry, spoke about the scholarship and that there is equipment available as well. Jerry requested that club members donate any equipment which is still in great shape to the scholarship and that this equipment would be stored at Tom’s. Tim pointed out that there were those in attendance that could put in for the scholarship and that information can be found on the club’s website – just fill it out. New Member Sponsors: Tim brought up again that one of the main emphasis of the club should be to mentor new members and that the scholarship program is a great place to start but that club members really need to make an effort in that area. 1St of February group members need to have hives registered with the state. Some members have received notifications to send in their registration. Tim mentioned to the group he will be speaking to the Morning Optimist on the 16th at 7 am. That will be at the Club for Boys in Rapid City. He also stated that he will be on KOTA television on the 29th at noon being interviewed about the upcoming conference.